Why do so many denture wearers swear by permanent dentures? Some even feel that permanent dentures (also known as fixed dentures) are the best invention in dentistry since the toothbrush. The reason is simple: before the advent of permanent dentures, there was no good solution for people who had lost all their teeth. While people with a few missing teeth sometimes make do by smiling carefully in an attempt to hide the gaps, and changing their chewing habits, this just isn’t an option for people who have lost all their natural teeth. Often complete tooth decay isn’t just a result of poor oral hygiene; it can be caused by disease, as a side effect of certain drugs, poor nutrition, genetics, and a host of other factors beyond a person’s control. And once all the teeth are gone, or must be extracted, there’s no hiding it. And some patients feel that conventional dentures are more of a hindrance than a solution. Enter permanent dentures: a fixed bridge of teeth anchored onto implants that are surgically fused with the jawbone. It’s a full-jaw solution that results in a permanent, stable set of teeth that look and perform just like your real teeth once did – or better. Permanent Teeth-in-a-Day at Dentures Direct in Toronto! All this in just one day? 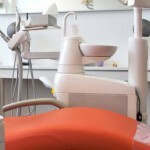 A total of several visits to the dental clinic is typically necessary to complete a full set of fixed dentures, because there are diagnostic procedures to be performed, surgeries to implant the titanium posts into the jaw bone, and then a healing period after which the temporary replacement teeth given to the patient on the same day as surgery, will be replaced by the patient’s permanent dentures. Once these teeth are affixed, the prosthesis will be complete – and the vast majority of patients are perfectly delighted with the results. If you have ever known someone who got a dental crown to replace a single tooth, you already know a lot about how fixed dentures work. But unlike single crowns, where each new tooth is anchored by a single implant, permanent dentures place a full arch of teeth on several implants. This procedure provides all the benefits of dental implants at a fraction of the price, and with much less surgical intervention, than would be required to implant replacement teeth one by one. Your denturist will examine your mouth and take scans and x-rays to determine the quality of remaining bone. You will discuss all your options for replacement teeth (permanent dentures, All-on-4 technique, partial dentures, conventional dentures etc.) and explain all your options so you can make a good, informed decision about what’s best for you. Any necessary extractions will then take place and time will be allowed for your gums to heal. Four to six implants are placed to replace lost tooth roots. These implants are typically made of a titanium alloy that is highly biocompatible, and will fuse with your bone just like your tooth roots did. Temporary teeth will be attached the very same day, so you will be able to carry out your normal activities while waiting for the permanent fixed dentures to be installed. Why this two-step process? Because healing from one or more surgeries takes time, and during this time, subtle changes will occur to the shape of the jaw and gums. Your final permanent dentures will take those changed contours into account, and will also be perfectly matched to your mouth and facial structure in terms of colour, shape and size, for results that look and feel just like natural. 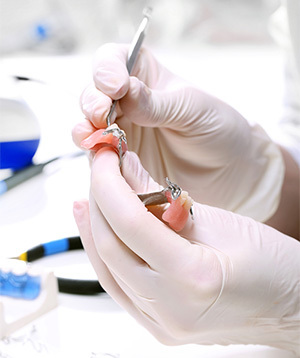 After being securely attached to your implants, your permanent dentures are all ready to go. They’re not removable except by a dentist, and you can confidently function knowing your new fixed dentures are durable and resilient enough to treat just like real teeth. A permanent denture isn’t the only option for people with complete tooth loss. 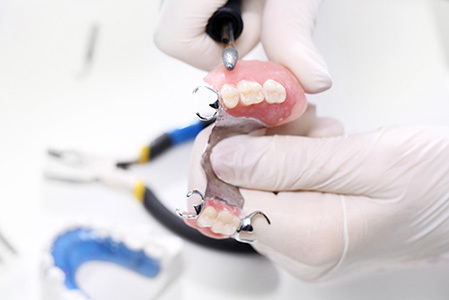 Other choices exist, such as the removable overdenture, which is a complete arch of teeth that is anchored onto implants – but unlike permanent dentures, this overdenture isn’t fixed in place but must be removed and soaked when not in use, just like conventional dentures. This is a more cost-effective option than permanent dentures, however, the ball or bar attachment is not as secure as that of fixed dentures, so the results aren’t as comfortable. 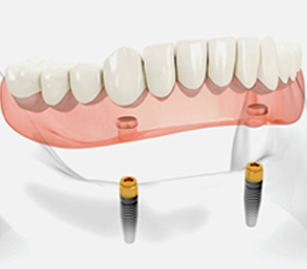 An even more economical option is the conventional denture – which simply sits on top of the gums without being anchored at all. 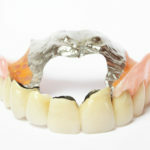 Although this denture is well priced and relatively easy to ‘install’, there are notable disadvantages; because the prosthetic isn’t anchored at all, it can create problems with tasting and chewing food, including irritation to the gums and mouth, and difficulty speaking normally. If permanent dentures sound like they might be a good solution for you, it’s easy to make the call: just phone Dentures Direct and ask about permanent dentures. We’ll book you in for a hassle-free, no cost visit to discuss your situation and review all your options. If you are sick and tired of the embarrassment and inconvenience of your current dentures, or finally ready to do something about missing teeth, it’s the best call you can make. Stop taking your smile out each night, and start enjoying life to the fullest! Call Dentures Direct today at 416-245-7474! Permanent Dentures – What’s the Scoop on Them? Such a great service! With virtually no down time for the busy person. All the best! !